Almost everyone has seen a ghost. Or at least that’s the impression I had as soon as friends and acquaintances learned that I was writing another ghost book and looking for true experiences which had not been published before. If they hadn’t seen a ghost themselves, they knew someone who had, and although hearsay evidence cannot be considered in a serious study of the subject, the number of such stories amounted to a compelling prima facie case for the existence of restless spirits, ghosts, poltergeists and all manner of paranormal phenomena. A typical example was a story told to me by a friend who assured me that the witness was as sceptical and pragmatic as they come, the last person who would admit to the possibility of life after death. The lady had awoken in the night and went to the bathroom but couldn’t bring herself to enter. The door was open but some intangible unseen presence was preventing her. She told herself that she was being irrational, that there was nothing to fear. But still, she couldn’t muster the courage to enter the room. She called her husband who was usually contemptuous of the supernatural, but he too couldn’t force himself to enter the room. Feeling somewhat ridiculous but increasingly anxious, they began throwing things at the open door hoping to dispel the ‘force’ that they sensed was obstructing the entrance. By now the hair on the back of their necks was prickling and they had no doubt that this was a malignant presence neither of them knew how to deal with. There seemed no point in remaining, so they withdrew and spent the night in another part of the house, sleeping fitfully until morning. When they re-entered the bedroom they both sensed that whatever had terrorised them had departed. 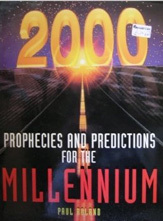 I may be risking my immortal soul by stating for a fact that there is no Devil, no Satan, Beelzebub, Lucifer or Old Nick - whatever name with which you choose to refer to him – in this world or the next, but I am confident that my assertion will be borne out by the evidence presented in the following pages. I fear no contradiction, nor even an appearance by the old boy himself to make me regret my presumption, for it will be shown that the Devil was a creation of the early Church and that all his deeds are entirely man made. That is not to say that there is no evil in the world, for though the Devil does not exist, his disciples and acolytes are clearly all around us and it is with their diabolical activities and beliefs that this book is chiefly concerned. However, The Devil, I argue, is a personification of the dark side of human nature, of our basest instincts, impulses and desires which we seek to deny and disown by projecting them onto a mythical figure of our own making, whereas God can be seen as the projection of our divine potential. Angels and demons would therefore be symbolic of our divine attributes and aberrations, the vices and virtues which are continually in conflict within us. It is highly significant that no one has claimed to have actually seen the Devil in his traditional form with horns and tail since the mass religious hysteria of the Middle Ages – at least, no one of sound mind that is. The persistent belief in this malevolent cosmic entity is an insult to the intelligence, a remnant of the Dark Ages when fear, superstition, ignorance and bigotry reigned over reason. To believe in the devil is to deny our divine nature and that, if anything, should be a sin. It simply makes no sense to give credence to the idea that in this infinite universe in which our world is less than a speck of dust, an evil omnipresent cosmic being would manifest as a man to tempt us into committing what our ancestors once considered sinful. Until we free ourselves of this fairy tale figure and, more importantly, the fear of the unknown that he personifies, we will empower our fears to rule over us and limit our progress in this world. How can I be so casual and certain in dismissing the Devil as a figment of our collective subconscious? Well, if there is a Devil, a malevolent supernatural entity continually vying for possession of our souls, where is the evidence of his existence? Certainly not in the Bible from which Christian fundamentalists are so fond of quoting. This book is different from the usual collection of true ghost stories. 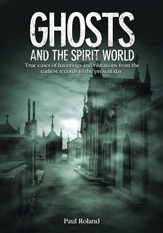 Although it offers a comprehensive history of spectral sightings from ancient times to the present day and covers apparitions in every conceivable setting, it does not argue the case yet again for or against the existence of ghosts, but accepts apparitions as a natural phenomena. Ghosts are a fact, but clearly not all ghosts are discarnate spirits of the dear departed. The distinction is important and, as will be clear from the examples given in the following pages, goes to the core of explaining the nature of the phenomena. The reason for my unqualified conviction is not blind faith or wishful thinking, but personal experience. Since childhood I have had involuntary out-of-body experiences which were distinctly different from the most lucid dreams and these convinced me that our physical world is not the only reality. It was self-evident to me that we are, in essence, spiritual beings inhabiting a physical body and that we can be temporarily released from this shell when we attain a state of deep relaxation, during sleep, when under anaesthetic or at moments of extreme physical or emotional crisis. In later years I had the privilege of working with many gifted ‘sensitives’ in my psychic development workshops and I also witnessed several remarkable demonstrations of mediumship at first hand by well known and highly respected personalities such as Derek Acorah, Colin Fry, ‘psychic detective’ Chris Robinson and psychic surgeon Stephen Turoff. I also interviewed many gifted individuals such as the healer Betty Shine and American ‘psychic spy’ Major David Morehouse, all of whom added to my understanding. As I explored the world of the supernatural I became fascinated by what these phenomena revealed about our true nature and the greater reality of which we are a part, rather than by the phenomena themselves. And that is what I hope distinguishes this book from others on the same subject, an understanding that ghosts are not the chain-rattling spooks of lurid supernatural fiction, but something far more interesting. It will be self-evident from the many intriguing cases described in the following pages that ghosts are not a single, specific phenomena but cover a wide range of paranormal activity, each revealing another aspect of our latent psychic faculties. I liked this. It's a little biased, but that's cool because the author doesn't ram his views and theories down your throat and they really add a thoughtfulness and personality to the book. Good, interesting - sometimes disturbing - cases written in a lovely, clear, natural style. Thumbs up for this one. I bought this book years ago (in paperback) and had no hesitation in getting a copy for my Kindle. A fascinating and thought provoking book about a subject that has interested me for years. Really well researched and well written. One the Best Paranomal Books I Ever Read!!! This book is truly remarkable. Ghosts and spirits inhabit the world around us. It describes that how people can hear and see them if we are sensitive- or psychic-enough to be aware of them. The author describes in very vivid written details in our past histories of cultures all over the world of ghosts, paranormal activity, poltergeist, haunted places etc... I truly would recommend anyone that is fascinated by paranormal to have this unbelievable book for your reading collection. This Book is Fantastic!!! A bit different from the previous books on ghosts I have read, but I loved it. It's a great look at the paranormal. This book didn't just give you a general look at ghosts. It went deep-into specifics. 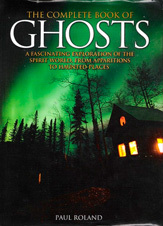 It mentions famous ghosts, celebrities’ experiences. In fact, I'd say this book was a fun read. It was unique, if you will. Of course any ghost book would be unique, but the [book]was the epitome of unique. It took a dark subject and made it fun. Alright, so I can say that I agree with one of the reviewers that it wasn't the complete guide, but it was pretty dang close. I recommend this to all you ghost hunter and to anyone who is curious. I love a scary ghost story. These are the scariest stories I have ever read. Especially the part about the blood castle in the British Iles. Wait till you read that. I also like the part about outer body experiences. I always wanted to experience one of those. The Ghost book was a big hit and so the publisher requested a follow up which I was more than happy to do. Some great hair-raising tales in here, although I didn’t necessarily believe everything I wrote about. The stories about the haunted dolls advertised on ebay were just too good to exclude. But why let facts get in the way of a good yarn, I say, just so long as the tone is wryly humorous so the readers know when it’s not being taken too seriously. If you want to frighten the kids, give them this book. It's full of tales of ghosts, poltergeists, possession and exorcism that will definitely make it hard to get to sleep at night. Paul Roland takes a measured approach to the subject, and brings it into the modern world, sometimes hilariously, such as the tale of the ghost with a taste for German techno-grunge and the fact that Liam Gallagher thinks he's possessed by the ghost of John Lennon. Yeah, you wish. This book was suggested by the publisher, but I was happy to do it as I wanted to have my say on the subject, having had out-of-body experiences as a child and having experienced what appeared to be impressions from a past life both during meditation and at random moments while fully conscious. Personally speaking, I find the evidence for belief in past lives utterly compelling, although I’ve no doubt some of the more flamboyant statements made by people who claim to recall a previous incarnation as an Egyptian Pharaoh or such to be pure ego, or self-deception. I really enjoyed reading this book, some stories sound a bit far-fetched but others are very believable. If you are interested in this subject it is well worth a read. It has definitely strengthened my belief in reincarnation. 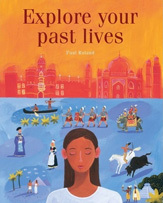 Published in 2008, `Reincarnation' by Paul Roland makes a delightful bedside companion with its simple and understandable tone and easy to digest chapters. The book begins by taking us from pre-history to Christianity, looking at aspects of the ancient world and the accounts found in Egypt and Greece; we explore the sacred Hindu texts of the East such as the Upanishads and the Bhagavad Gita, through to the Buddhist Law of Karma, stopping off along the way at Islam and the Koran, Judaism, before returning to modern times and new developments in ESP. Roland takes us on a journey which investigates astral projection, speaking in tongues, Deja Vu, Near Death Experiences (NDE's) and Out of Body Experiences (OBE's). You will also discover more about celebrity spirits, children's past lives, regression (hypnotic regression and inherited memory), psychic readings and finally a self-regression exercise which all goes to make this book a no-nonsense, well-illustrated case for the existence of the human soul and its many incarnations! Fascinating! It is understandable that many people assume that if angels exist, then so too must demons, or some form of conscious evil entity. But is it not more likely that the invisible realms reflect the hierarchy to be found in nature on the physical plane which is expressed in a multitude of forms from single-celled creatures to humankind? Supernatural phenomena is defined as anything beyond the ordinary, which is not the same as being contrary to nature. Therefore one could imagine the celestial hierarchy being comprised of continually evolving forms, rather than malevolent entities, which culminates with the angelics who tradition says are the closest beings to the Creator. As I noted in 'Angels - A Piatkus Guide', 'The existence of angels does not automatically signify the existence of demons. If angels are the highest form of discarnate beings surely they are complemented by lower, undeveloped forms and not necessarily by conscious beings of equal strength but of a contrary nature'. The word demon is actually a corruption of the Greek word 'daimon' which translates simply as spirit or deity. Perhaps that is why we have an impressive record of angelic encounters through the centuries but no credible accounts of encounters with devils and demons. Our history has certainly witnessed evil acts, but in each case these appear to have been a manifestation of our own inhumanity - the shadow side of the psyche which has been separated from the source and is unconscious of its True or Divine nature. If this is the case, then we have nothing to fear but our own shadows. 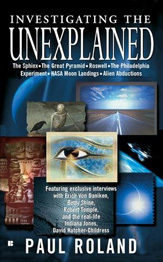 If you have just started your interest in the unexplained this would be a great start. 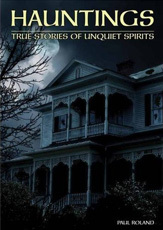 It is filled with very fascinating story's of strange happenings and unexplained tales. 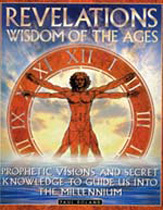 "believe it or not, it was this book that started me out on my spiritual journey. Good overview covering a broad range of topics." 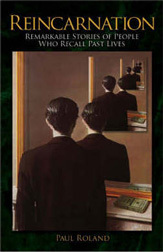 This is not a typical book on the subject of life after death because for me that question was answered 40 years ago when, as a child, I had an out-of-body experience that altered my perception of reality. In fact, it was the first of many such experiences. I can still recall waking from a dream to find myself soaring over the sea to 'visit' my grandmother and aunt in Ireland. I remember the sense of exhilaration of flying and the calmness with which I accepted the fact that I was hovering over them as they sat watching TV in the same room that I had played in whenever I came to visit them during the school holidays. After a few moments, having assured myself that they were fine, I snapped back into my body and woke with a jolt. There was no doubt about it. That was no dream. As I understand it, the experience had been triggered by a strong unconscious desire to see my aunt and grandma combined with a latent ability to float free of my body – an ability that I believe we all share. I have experienced OBEs, as they are commonly known, on several subsequent occasions and each time I have been fully conscious that I was outside my body and in a state of heightened awareness quite distinct from the dream state. As an adult I would often wake from sleep to find myself in another part of the house and always with a feeling of intense relief and delight at being free from my physical shell. Unfortunately, the realisation was enough to pull me back into my body. However, one morning I awoke to find myself floating an inch or so above my body. I knew that if I opened my eyes I would return instantly to the physical so I remained in that transient, disconnected state for some minutes, enjoying the sensation. I could have drifted off on another astral journey, but at the time I lacked the courage to let go and so I didn't take advantage of the opportunity. But each time it has been a liberating sensation and one that appears to confirm that the astral, etheric, subtle or dream body is our natural state. The survival of the soul is therefore, for me at least, not a question of faith but a fact. It is a natural phenomenon, not a supernatural one. …those who seek solace from the pain of passing loved ones or who fear death itself will find comfort within its pages. I've always been really sceptical about the paranormal and the idea that people have near-death experiences, but this book has really made me think again. 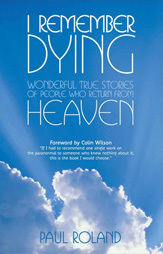 What makes it so convincing is that it's not just a series of autobiographical accounts - the author gives a brief explanation on the major religions' view on death and the afterlife, as well as an account by Carl Jung who experienced an out-of-body experience after a heart attack. Introduction: Why Explore Past Lives? We are constantly being told that dwelling on the past is as futile as daydreaming about the future. We must live in the present and be ‘mindful of the moment’, for we only have one life and we should live it to the full. But is that true? Although it is impossible to obtain physical evidence to prove the validity of past life experiences, the anecdotal evidence for reincarnation is overwhelming. Once you accept the possibility that you may have experienced a succession of incarnations in order to learn and evolve it will be evident that your personality and present circumstances are not solely the result of your upbringing or genetics. You will also come to realize that many of your attitudes, anxieties and aspirations, as well as behavioural traits and even health issues are an expression of those past life experiences. But unless you have the means to recover impressions from these previous existences and identify the recurring themes which link the present to your past, you are likely to repeat the same patterns of behaviour, becoming entangled in a series of unproductive relationships which will reinforce your doubts and fears and severely limit your potential for personal growth and fulfilment. Even if you believe that you have no ‘unfinished business’ to resolve, you will still benefit tremendously from the exercises in this book. Exploring Past Lives will help you to become more self-aware and will empower you to take control over your destiny by giving you all the facts you need to make the right choices. It will reveal why you hold certain beliefs, why you react the way you do to certain situations, why you encounter specific problems and what their purpose might be. You will no longer be a passive observer of your own life, a mere puppet at the mercy of events over which you have no control, but an active participant with the power to determine your own future. Well laid-out and easy to understand. It was recommended to me. I bought this book after loaning it from the local library. The topics are simple and the coloured pages with pictures help the subjects of each chapter be easily understood. I have studied these topics for many years, and read many books and attended seminars. This book is a golden nugget in understanding your true self and your reasons for being. Kabbalah is the ancient Jewish mystical system whose teachings lie at the heart of the Western esoteric tradition. It seeks to answer the key questions which preoccupy us all concerning the meaning of life and the nature of existence, while at the same time offering profound insights into the human psyche and providing techniques for personal transformation. Its central premise states that we are all, in essence, divine, and that we have the free will to rise to the level of the angels or descend to the level of the beasts. Kabbalah celebrates individuality and discourages blind faith and any form of belief system which encourages its followers to delegate responsibility for their spiritual development to someone else. It condemns the personality cults which often surround gurus and charismatic religious leaders and discourages any practice which could be considered superficial or elitist, such as the wearing of red strings around the wrist, which has recently become fashionable among celebrity converts. In fact, the wearing of a red string around the wrist is expressly forbidden by the Tosefta (an early Talmudic text). In Shabbat, Ch 7-8 it states that such practices are ‘darchei emori’ meaning a worthless superstition. It is for each of us to determine our own destiny, to attain self-realisation and thereby contribute to the well-being of the world and the evolution of the human species. Alternatively we can indulge our baser instincts and submit to our fears which is a denial of our divine potential and the very definition of evil – for Kabbalah contends that there is no conscious malevolent entity at work in the universe contravening the divine will, only ourselves. Our present problems are therefore seen as symptomatic of an evolutionary struggle between those in search of their Divine nature and those who are in denial of it, rather than as a manifestation of an apocalyptic battle between cosmic forces. Evil is defined in purely evolutionary terms as that which disintegrates and disperses energy and matter back into their primary elements for nothing can be actually destroyed, only changed. Evil is therefore a contrary impulse to evolution, a checking, constraining factor, testing our integrity and willpower. To those whose lives are disrupted by an evil act the psychological and emotional impact can be considerable, but all injustices are ultimately addressed by the universal law of cause and effect (Karma), whether in this lifetime or the next. In this present age of religious extremism and increasing intolerance Kabbalah advances a positive philosophy in which every individual is significant and empowered with the means of attaining liberation from the cycle of birth and death. To do this we can draw upon the inner guidance of our Higher Self or Holy Guardian Angel using techniques which are detailed in the following pages. Incidentally, no knowledge of Judaism is needed in order to practise these techniques nor to benefit from this ageless wisdom. In fact, it is the duty of every generation to reinterpret its teachings for their own time and in their own terms, so long as they remain faithful to its principles. Kabbalah does not demand blind faith, nor does it require initiates to retire to a remote spiritual retreat and renounce the pleasures of the material world. In fact, it actively encourages practitioners to immerse themselves in life affirming activities, for only in the give and take of human relationships can we hope to grow and learn about ourselves through our interaction with others. Anyone who seeks escape from responsibility or from reality should look elsewhere. Kabbalah does not offer a quick spiritual fix. Neither is it an impenetrable metaphysical system based on arcane biblical theories, but a divinely simple and practical means for spiritual growth and self-awareness. It seeks to explain what lies behind the apparent chaos, injustice and random cruelty of our world and in doing so reveals the purpose of life and the path that leads to our divine destiny. For that reason it is imperative that its secrets should now be revealed for the enlightenment of all those who wish to connect with their true nature, for we can only change the world if we first change ourselves. It is important to state at the outset that Kabbalah is not the only way and its practitioners do not claim exclusive rights to the Truth, but it is unique in the way it conceptualises the mysteries of existence and then offers the means by which anyone can test the validity of the teachings for themselves. In the following pages you will find dozens of original visualisations and practical exercises so that you can experience the inner and upper worlds through heightened states of consciousness and explore the symbolic landscape of your own psyche to awaken the Divine within. Such secrets were initially encoded in the myths of the Old Testament and in religious ritual which formed the exoteric (outer) practices of orthodox Judaism, while their esoteric (hidden) significance was lost with the passing of the centuries. This universal truth, that we are all responsible for our own ‘salvation’, is at the heart of occult philosophy and is encoded in the teachings of the masters. It is thought that the dissemination of this knowledge was the true mission of Joshua ben Miriam, more commonly known as Jesus of Nazareth, who expressed the concept in the phrase ‘the Kingdom of heaven is within you’. All of the major religions initially inspired the faithful to seek for truth and meaning in life, but over time they became preoccupied with the letter of the law rather than its spirit which bound the community to formal, collective worship. Without Orthodox religion civilisation would have descended into chaos centuries ago. Its moral precepts helped to form the foundation of western society and endorsed our ancestors’ belief in righteous living. Unfortunately, in many cases righteousness begat self-righteousness and the zeal to save others from themselves whether they wanted to be saved or not. Many extremists set themselves up as mediators between man and God and in their zeal some assumed the role of divine authority to become the antithesis of what the founders of their religion had taught. Today orthodox religion can still offer believers comfort and guidance in difficult times, but an increasing number of people feel the need to seek out the truth for themselves and they prefer to travel with their eyes open rather than be led to the Promised Land. For them Kabbalah offers a means for attaining that direct, personal experience of the divine. By the Middle Ages Kabbalah had become synonymous in the fervid public imagination with ceremonial magic which provided an excuse for a succession of pogroms against the Jews. It is thought that in an effort to conceal their secrets initiates may have encoded their teachings in the Tarot Cards (of which more in Chapter X). 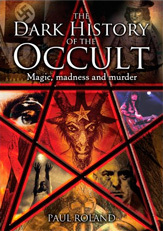 In the 19th Century, thanks to the profane practices of such charlatans as the notorious magician Aleister Crowley and the empty theatricals of his contemporaries in the Golden Dawn, the stigma of occultism had firmly adhered to anything relating to the Kabbalah and consequently the teachings fell into disrepute. Until the latter years of the 20th century Kabbalah was considered suspect or at worst, superstitious nonsense by orthodox Jews and as arcane, wilfully obscure and impenetrable by all but the most dedicated mystic. Now it is enjoying a revival and the attendant publicity which inevitably comes with the acquisition of celebrity converts such as pop priestess Madonna and a host of Hollywood film stars. In a world of increasing insecurity and disillusionment with traditional religions it was perhaps inevitable that the Kabbalah would be seized upon as the next New Age fad. Part of our current malaise stems from the realisation that we cannot believe in a patriarchal creator who will reach down out of the sky to punish the sinners and reward the faithful. We are more sophisticated than that, and yet we still hope that there is a greater reality than the one into which we have been born. In contrast to the often abstract philosophies of the East, Kabbalah offers a pragmatic alternative, one in which the Divine is manifest in the world around us and in each and every human being in finite form. If we wish to understand the Will and nature of the creator we only have to look within and if we desire to truly know ourselves we only have to look at the world we have created. In Kabbalah our spiritual and psychological needs are finally reconciled. 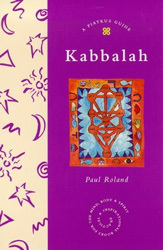 Paul Roland's small book about Kabbalah contains all the important points to get a person started in the practice of Kabbalah written in clear, concise English. Unusual is his inclusion of simple but profound meditations for self exploration of this ancient mystery system. He also uses just enough of the original language to teach and give the reader the flavor without overwhelming him or her. I would recommend this to any new student of Kaballah. It also contains ideas to supplement the knowledge of the more experienced reader as well. 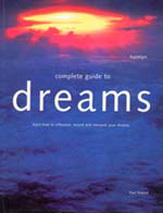 I look foreward to reading Mr. Roland's book on dreams. This Book is better than most. Deffinately better that the other 6 books I have read about the Kabbalah. I highly praise the author and publisher for the following note opposite the contents page. I wish other authors and publishers were as responsible. "Neither the author, nor publisher is responsible for any harm caused to anyone unsertaking the exercizes and meditations in this book. Anyone who has suffered from a mental or emotional illness should seek medical advice before attempting the exercizes." While I concur with the reviewer who notes the number of typos and small nits in the book, the content is still extremely well done. The book isn't truly "complete", and the course is very, very basic - but in following it, the reader will get a good solid theoretical and practical foundation in Kabbalistic study. 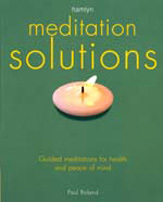 The meditations are extremely powerful, and a key component in any approach. This book belongs in any collection of the Kabbalah student, and will be a great supplement to many of the more advanced books out there. This is a very well-written book. It is a great book for beginners to the Kabbalah, while is still full enough for the regular practitioner. The exercises are both simple and complete. 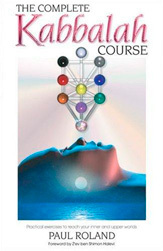 I highly recommend Mr. Roland's The Complete Kabbalah Course: Practical Exercises to Reach Your Inner and Upper Worlds whether you are just embarking upon your own journey, or have been sailing the seas of within for some time. I bought this as a surprise for my husband as he has always worked using kabbalah and he was amazed at how informative this book is and has hardly put it down since starting. This is the first time I have known him read anything other than the newspaper and be so enthralled. Money well spent . This is an accessible introduction to the ancient mystical tradition of the Kaballah for Jews and non-Jews alike. 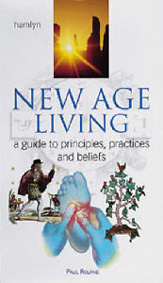 Paul Roland provides an explanation of the basic principles of the tradition including traditions of creation, the different levels of existence, and the nature of humankind. I am really impressed. This is the best little book for spiritual growth I have ever read, and as a student of all higher thought I have read all the big names and a lot of lesser known.Thank you Paul Roland! You do not have to be a 'religious' person to appeal for help from the angels, nor do you have to subscribe to a specific belief system, other than the belief which says that as a Divine being you have the right to ask for assistance from those who serve the universal life force and that you have the right to expect their help. We allow so many negative messages into our consciousness, particularly from the sensation-hungry media, without considering the effects, yet we hesitate to call on the universal life force which sustains and nurtures us every day of our lives. Many people are reluctant to believe in angels or to contemplate the existence of the greater reality of which these celestial beings are a part. Rational thinking and religious dogma has been largely to blame for stifling our belief in such things, but in the following pages I hope to dispel some of the myths and misconceptions that I believe have obscured the true nature of the angels from our sight for centuries. It is a truth which is, as you might expect, divinely simple. By following the guided meditations which I have used to considerable effect with students over many years I hope you too will become aware of the presence of the angels in your life. In my meditation classes and angel courses I am often asked why angels sometimes intervene when they have not been called and occasionally refuse to intervene when someone has appealed to them for help. It is my understanding that we have all chosen to incarnate on earth to learn whatever we need to learn in order to evolve and to take certain experiences back to the Higher Self and the group-soul. If we knew that all our distress calls would be answered and resolved by Divine intervention, then we would not take the risks or decisions in life that we need to take in order to learn those particular lessons, painful though they might be. All indications suggest that angels are highly evolved beings, but the human will galvanised with the power of our emotions can blind and deafen us to the quiet inner voices of those who have our best interests at heart. It is one of the universal laws that humans have the right to exercise free will in all matters concerning their own lives and that the angels will not intervene unless called upon by us to do so, or in extreme cases such as if we were to threaten the life of another person. And sometimes not even then, as the laws of karma take precedent where a difficult relationship between people might have been set up to help resolve a conflict carried over from a previous life and bring everything back into balance between them. In cases where a restless and malevolent spirit will not depart in peace it may be necessary for the living person who is being victimised, so to speak, or a third party who is concerned for their well being, to enlist the help of the angels. The angels are then free to intervene because someone has exercised their free will and called upon them for help. It does not matter that it is not the restless spirit themselves, nor even their 'victim' who has called out to them. But be assured, such instances are not as common as the media and the movies would have you believe. They are extremely rare, so don't give yourself any nightmares! Besides, another universal law states that 'Like Attracts Like', which means that if you want to work with angels and guides for the highest good of all concerned and without having any selfish motif, then you will attract only the Divine powers and be strengthened and become more self-aware in the process. If you are involved in a difficult relationship with someone whom you are emotionally attached to, such as a partner, family member or close friend, you can help to dispel any disharmony between you by practising the following simple exercise on a regular basis. After only a short time you should see the relationship from a new, less emotional perspective and the other person will be affected too, although on a subtle, psychic level which they will not be consciously aware of. It is imperative, however, that you do not divulge what you have done to improve your relationship to any one, particularly not to the person concerned, as there is a real danger that they might consider themselves to have been manipulated in some way. Make yourself comfortable in a chair and settle yourself into a meditative state by focusing on the breath and scanning the body from crown to toes for tension. Then take a deep breath and sigh, expelling all the tension with the outbreath. When you feel suitably relaxed ask for your guardian angel to draw near and assist you for the highest good of all concerned. It is important to include this phrase because the success of any healing process depends on harmonising with the greater good and the will of the universal creative force, not imposing your will or manifesting the desires of your ego. Visualise your guardian angel appearing behind you and wrapping you in its wings of multi-coloured auric light. Now see the other person approaching from a distance gently guided by their guardian angel who stands behind them. When they finally stand before you sense your heart centre soften and open with unconditional love for this other person and ask your angel to communicate your wish to heal any ill-feeling between you and the other person. Ask too for forgiveness for any hurt which you may have inadvertently caused and ask for any karmic debt that exists between you to be cleared for the highest good of all concerned. Then see the wings of both angels unfold and touch to form a circle of light enclosing you and the other person. Now visualise yourself breathing that person in with every in breath. Embrace and absorb that person into the essence of your own being and say the following affirmation to yourself: "X and I are having a good, positive relationship. Energy flows freely between us." When you exhale visualise yourself releasing them back into the embrace of their guardian angel. Repeat as many times as you feel are necessary and then thank both angels for bringing you together and assisting in the healing process. Sense them returning from whence they came, focus on your breath and when you are ready return to waking consciousness. But meditation is not merely a method for achieving peace of mind and deep relaxation. When practised regularly for as little as ten minutes a day it can have a profound and positive effect on our mental, emotional and physical health. I have been practising, teaching and writing about meditation for more than twenty years and have seen how it has quietly transformed and enriched the lives of my students in many ways. Some took up meditation in the hope of alleviating stress and associated sleep disorders, others sought relief from minor ailments such as migraines, while a few had a vague notion that it might help to bring meaning to their lives. All of them benefited in some practical way after only a few weeks of attending my classes. But they soon discovered that once meditation became a small but significant part of their daily routine they began to benefit in more subtle ways from what might be called the positive 'side effects' of meditation; increased concentration, clarity of thought, a clearer sense of purpose, greater self-awareness and a sustained sense of well-being. Contrary to popular belief meditation is not the exclusive preserve of religious ascetics or those who are 'spiritually advanced'. Neither is it necessary for practitioners to subscribe to a particular belief system. Meditation is often associated with the philosophies of the east and in particular Buddhism because these traditions have developed it as a spiritual discipline, but it is merely a state of mind, a natural way to tap the limitless potential of our Higher Self or True Nature and explore the inner life of the unconscious. This book has been written as an introduction for those who are new to meditation and who may be wary of such abstract ideas as 'letting go', 'looking inward' and 'emptying the mind' as practitioners are often urged to do. My aim has been to demystify the practice, to strip it of its more 'exotic' trappings, which can be off putting for westerners, and to offer safe and simple techniques for deep relaxation, stress relief, increased self-awareness and ultimately, a glimpse of the greater reality that exists beyond our physical senses. 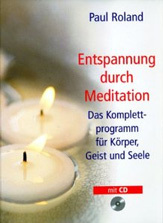 Writing this gave me the opportunity to order my thoughts and compile my original meditation exercises under one cover. It was one of my most successful titles selling more than 50,000 in the first 6 months. I read "The Meditation Handbook" (Gyatso) before this and felt thoroughly confused by the excessive Buddhist philosophy and religious emphasis in that book. This book, by Paul Roland, has great pictures, is comprehensive, easy to follow, and easy to read. Any child or adult would find this book useful. It's definately a beginner's introduction to meditation, but also covers chakras, meditation settings, creative visualization, color therapy, using mantras, and contains numerous exercises! It's a terrific overview of meditation and related topics which will allow the reader to choose what other aspects they want to pursue after reading this book. Highly recommended! This book is such a find if looking for a valuable resource on all there is to know about meditation. The author writes of his own experiences, as well as different approaches to meditation and visualizations. There are a myriad of different types of meditations offered in the book, in addition to a plethora of knowledge and tools. I have been doing transcendental meditation regularly for two years. I happened to see this book in a Natural Wonder's store. I sat down and read the first couple of chapters and was very impressed. I wish I had read it before getting into meditation. But even now it is very helpful and informative. The book is straightforward and does a good job in covering many different topics. This book is my first meditation book and gave me a general idea about meditation with plenty of beautiful illustrations which helped me practice the meditation on the book. The breathing technique decreased the tension of my mind at my first attempt of it. Especially, I like the sections of visualization, positive thinking, and affirmation on the book. I had gotten stuck in a negative thinking pattern for a long time. By the meditation practice of visualization and affirmation, I am getting released from my negative thinking pattern which tormented me for such a long time. I am sure that the book will help you be freed from your negative thoughts or problems. You will enjoy the real freedom of your mind at last. In a dark corner of one of London's leading occult book shops stands a rack of bizarre prints depicting grotesque insect-like beings that might invade a naturalist's nightmare. And whenever a customer shows interest in the display the owner delights in telling them that such hideous beings are not figments of the anonymous artist's imagination, but elemental spirits he encountered on the astral plane. The fact that these eldritch horrors bear such a striking resemblance to the hideous entities described by the American pulp horror writer H.P. Lovecraft (1890-1937) is due, we are to understand, to the fact that Lovecraft had also encountered them during out-of-body experiences in the realm beyond sleep. Only he dismissed them on waking as mere demons of his dreams. But then he had to, for he had a real fear of being overpowered by the creations of his own imagination, of being driven insane by them and of dying in a lunatic asylum as his father had done. Consequently, in letters to friends and admirers Lovecraft readily admitted that his "black pantheon" of nameless horrors were "one hundred per cent fiction". And yet, artists and writers are said to possess acute psychic insights as a consequence of honing their imagination and stimulating the extrasensory areas of the brain - a latent faculty the mass of humanity might have 'lost' because of its preoccupation with the concerns of the material world and what it perceives to be 'reality'. In his most celebrated story, 'The Call of Cthulha', he expounded his own nihilistic philosophy wrought from a certain inherent neurosis and frustrated literary ambitions and exacerbated, presumably, from an increasing fear that the creatures of his imagination were now beginning to take possession of him. 'The most merciful thing in the world, I think, is the inability of the human mind to correlate all its contents. We live on a placid island of ignorance in the midst of black seas of infinity, and it was not meant that we should venture far [...] some day the piecing together of dissociated knowledge will open up such terrifying vistas of reality, and of our frightful position therein that we shall either go mad from the revelation or flee from the deadly light into the peace and safety of a new dark age." Perhaps he did not recognise, or wish to acknowledge, the true source of his inspiration, for it might be that in indulging his fantasies in a vain escape attempt from the responsibilities and challenges of life Lovecraft freed the inner demons of his own subconscious - the fears, guilt feelings and anxieties given form by his overactive imagination. And there is a second possibility, subscribed to by many psychics and occultists, that even if the dark gods and demons of The Cthulha Mythos had originally been insubstantial projections of the writer's imagination, any form of prolonged meditation on such things by their creator, or those who brood on their existence thereafter, effectively energises them to the point where they can exist as separate entities. So, even if these nightmarish creatures were initially only figments of Lovecraft's imagination, by now the collective obsession of successive generations of horror addicts might have given them real substance! Although Lovecraft maintained that he had no interest or knowledge of the supernatural his stories describe a nightmare realm which is strikingly similar to ethereal worlds which the notorious magician Aleiteir Crowley claimed to have explored through his psychic senses. It is as if both Lovecraft and Crowley had tapped into what Jung called the Collective Unconscious, only Lovecraft tore the veil involuntarily during sleep whilst Crowley altered his perception at will. It appears that the group use archetypes, albeit malevolent and fictitious ones, to stimulate the imagination and thereby awaken their member's latent psychic faculties. What does the word psychic actually mean? The term psychic is derived from the Greek word 'psukhe' meaning soul and can be applied to either a person who claims to have developed a 'sixth sense', or an ability which appears to be outside the possibilities determined by natural laws. This would include all forms of extra sensory perception, telepathy, the ability to foretell future events, psychometry (the capacity to derive impressions of people and places from objects) and the extension of awareness to another location commonly known as remote viewing. For that reason such talents are often described as supernatural and are generally considered to be beyond the limits of 'normal' human experience. However, practising psychics, or 'sensitives' as many prefer to be called, consider that the supernatural is merely an extension of the natural world and that all psychic experiences conform to universal rather than physical laws. Such experiences are often confused with paranormal phenomena which is a broad, catch-all category for any incident or experience which defies a rational explanation. Those who claim to possess psychic ability consider it to be an innate sixth sense that we all possess, but which few of us have considered developing because western culture has conditioned us to refute anything which cannot be measured by rigorous scientific analysis. Psychics do not consider their abilities to be superhuman but simply an acute sensitivity to the subtle energies surrounding all living things and a heightened awareness of a greater reality which exists beyond our physical world. In the case of remote viewing or out-of-body experiences this could involve the extension of one's awareness to another location. What proof is there that such abilities exist? There have been many stringent scientific experiments since the 1960s which have provided irrefutable proof of the existence of psychic ability in certain individuals, some of which will be described in the appropriate sections of this book. One of the most significant was that published in 1994 by the prestigious American journal 'Psychological Bulletin' which reported an impressive 34% success rate during an extensive experiment into ESP over the course of several years. In addition I will be drawing upon the anecdotal evidence of several psychics with whom I have worked over the years and that of students who have attended my psychic development courses. I will also add my own personal experiences where relevant. But the real proof will come as you test, identify and measure the level of your own psychic sensitivity using the exercises described at key points throughout this book. Clearly few of us possess the abilities demonstrated by 'celebrity psychics' such as Uri Geller, Ingo Swann or Betty Shine, but who has not experienced déjà vu, or has sensed that a friend or family member will phone them moments before they call? Unfortunately, we tend to dismiss such events as a product of our imagination, or as mere coincidence because we have been conditioned from childhood to be rational and to believe that imagination, dreams and intuition have no value and can be of no practical use. The most common forms of psychic phenomena, such as ESP and out-of-body experiences often occur involuntarily at times of extreme stress or during an illness when the bond between mind and body are disturbed and are therefore frequently dismissed as the product of an unsettled mind. A 1984 national survey revealed that 75% of all Americans claimed to have had some form of psychic experience (source: Time-Life Inc). Interestingly, women were more likely to have had personal experience of psychic phenomena than men, which suggests that women tend to trust their intuition and feelings more than men whose rational mentality might be filtering out the more subtle impressions. Since the late 1980s the proportion of those claiming psychic experience has increased, no doubt because of the emergence of the New Age movement which has made such experiences more socially acceptable. From similar surveys conducted since the 1960s and the wealth of anecdotal evidence collected by the Society For Psychical Research and the Association for the Scientific Study of Anomalous Phenomena it would appear that psychic experience is more common than we might imagine. Can everybody develop these abilities? The short answer is 'yes'. The simple exercises in this book will help you to identify, develop and employ your psychic abilities and reveal latent talents that you are not currently aware of. But you are going to have to be prepared to see the world from an entirely new perspective. What abilities can I acquire and is one type of experience more significant than another? Once you learn to trust your intuition you should be able to practice psychometry, psychic healing, reading the aura (the human energy field) to determine an individual's health and state of mind, and explore the inner world of the unconscious for insight, guidance and greater self-awareness. Psychic abilities are similar to other talents in that we each have a natural aptitude in a specific area, but you won't know where your strengths lie until you have worked through all the exercises in this book. No one talent is more significant than any other. But the degree to which that talent is developed depends on the individual. Obviously someone with real insight and a genuine empathy for their clients is going to be of considerably more value than a part-time 'professional' manning a so-called psychic phone-line. How can psychic abilities be of practical use in everyday life and how are they relevant to personal development? Psychic development is a significant step towards self-awareness and the fulfilment of one's true potential. The more we learn about ourselves and the greater reality in which we have our existence the closer we come to realising our true nature - which is immortal and divine. On a practical level psychic insight brings greater self-confidence and freedom from fear, which is the most significant handicap to progress and self-realisation that we impose upon ourselves. But is there no danger in developing these powers? Is there anything to fear out there? If I practice psychic development will I be dabbling in the occult? I have been practising meditation and many forms of spiritual self-development for more than thirty years and I have never had an unpleasant experience or encountered anything to fear. The only thing to be wary of is the negative energy of other people (which you can easily protect yourself from) and your own fears which can be overcome. The more you learn about yourself and your true nature, the more confident and self-assured you will become. If you approach psychic work as a form of self-development and avoid dabbling with Ouija boards and contacting spirits there is nothing to fear. If, however, you feel uncomfortable for any reason during one of the exercises you can simply count down slowly from ten to one and open your eyes, or practice the grounding exercise on page X. Remember, that at all times you are in control. Moreover, there is a universal law which states that 'like attracts like', which means that if your intentions are good and your search for insight is sincere you will receive help, guidance and protection at all times. How can I tell if these experiences are real or just my imagination? As you develop your psychic awareness the quality of your experiences will intensify, confirming what you previously only sensed or suspected. During 'readings' the impressions that you receive from family members, friends or clients will become stronger and the images will be more vivid. You will 'see' with a new clarity in much the same way as a short-sighted person sees the world in a new way after being fitted with glasses. Initially you will need to test yourself, analyse the results and measure your progress with the exercises specially developed for this book, but within six months you should be able to distinguish between genuine psychic experiences and the products of your imagination. Psychic impressions are quite distinct from the products of the imagination. They arise spontaneously and cannot be manipulated or distorted at will. They appear to have a life of their own and you may 'see' scenes from a past life or glimpses of the future as if you were watching a film. Psychic experiences seem more 'real' than those of everyday existence as our sixth sense is more acute than our five physical senses. 'Master Your Psychic Powers' aims to allay any fear that you might have of the unknown, will dispel some popular misconceptions and take the sensationalism out of the subject. Using safe and simple exercises it will show how you can develop your latent psychic talents to become more self-aware, confident and in control of your own life. Each chapter will describe the practical applications of specific abilities and include a number of simple exercises to encourage you to recognise, measure and develop your latent powers. 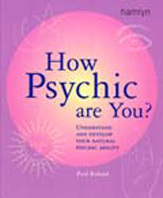 A wonderful little book, packed full of explanations and exercises to explore and enhance your intuitive-psychic ability. I highly recommend it to all those who wish to embark on discovering their extra-sensory perceptions. This book is simply brilliant. Easy to follow steps and meditations that will help you discover your ability. It is not patronising and does not bog you down with useless information. Not a quick way to learn, but one that will teach, and guide you in such a way that you will be happy to follow the instructions and discover what you are capable of. I wish I had found this book a long time ago. How to use meditation to deal with various problems such as bereavement, anger, guilt, sleep disorders and minor mental, emotional and physical ailments. In this excellent practical guide Roland explains how to use meditation techniques to solve a wide range of health, emotional and mental problems. 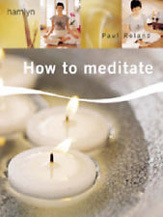 From alleviating stress and learning forgiveness to finding your inner self and even curing health problems, the author gives a clear understanding of each technique. The soothing language instantly calms the reader, while the excellent selection of quotations will inspire positive thinking. Between its formation in 1888 and its traumatic public disintegration in 1900 the Hermetic Order of the Golden Dawn laid the foundations for the transmission of the Mysteries throughout Europe for the greater part of the 20th century. The Order's prevailing image as a group of 'gray-bearded ancients', as occultist Dion Fortune called them, dabbling in magic and archaic rituals has overshadowed their contribution to esoteric thought in the modern age. Its founders were largely responsible for compiling a coherent occult system based on their reinterpretation of the Kabbalah, the Tarot, astrology, and ritual magic which continues to influence the work of Western esoteric groups to this day. The veil of secrecy and notoriety which surrounded the Order has made it almost impossible to distinguish facts from fiction, but it appears it was founded after Dr William Wynn Wescott, a high ranking Rosicrucian and Freemason, chanced upon a number of coded manuscripts detailing a remarkable system of practical magic in an antiquarian bookstall. Wescott knew at a glance that he had made a most remarkable discovery and immediately set about decoding them with help of a fellow Freemason S. L. MacGregor Mathers, an occult scholar who had made a name for himself translating several key medieval grimoires such as the 'Key of Solomon' and 'The Book of the Sacred Magic of Abra-Melin the Mage'. To their amazement and delight the pair discovered the manuscript described a system of practical magic complete with the name and address of the author, an adept living in Nuremberg, Germany, by the name of Anna Sprengler. Westcott lost no time in writing to her and a regular correspondence was established in which Fr„ulein Sprengler elaborated on the secrets contained in the manuscript. A year later she gave her consent for Wescott and Mathers to form their own magical lodge in England. Initially it was a secret society with a strong Masonic membership which met in a small set of rooms in a grubby backstreet in London. But it soon attracted an impressive roster of writers, artists and 'freethinkers', including the poet W. B. Yeats, the writers Bram Stoker, Algernon Blackwood, Arthur Machen and Sax Rohmer, the future president of the Royal Academy and the Astronomer Royal of Scotland. What drew these men was the Order's emphasis on the power of the imagination as a key to unlocking the magical talents of the mind. They were not interested in magic as such, but were searching for a way to engage their intellects and imagination which would hopefully lead to profound mystical experiences and an expansion of consciousness. One time member Evelyn Underhill viewed magic merely as a necessary stage on the path to self-realisation. The Order saw itself as continuing a tradition of arcane knowledge which they could trace from the Masons and Rosicrucians all the way back to the Mysteries of Egypt. Many of its rituals derived from papyri purporting to be of Graeco-Egyptian origin, while Egyptian symbolism adorned the walls of its 'temples' or branches which took their names from Egyptian deities. Mathers, who has been described by Yeats as 'half lunatic, half knave', took it upon himself to compile the teachings and reinterpret the rituals, adapting a Graeco-Egyptian invocation to enable members to contact their 'Divine Genius', or higher self. Through it, Mathers maintained, one could dominate all the forces in the Universe. The atmosphere of secrecy and exclusivity was maintained by the establishment of a hierarchy within the Order, whose adepti would be privileged to secret knowledge. The grades were modelled on those of the Rosicrucians, but were supplemented by a tenth grade of the Order's own invention, that of Ipsissimus ('most himself'), to correspond to the ten sefiroth of the Kabbalah. Like Blavatsky before them the Order claimed to be guided and inspired by Hidden Masters, 'Secret and unknown magi' possessing 'terrible superhuman powers'. By 1896 there were 315 members, 119 of whom were women, including Constance Wilde, the wife of Oscar Wilde, and Florence Fary, the mistress of George Bernard Shaw, all dedicated to the 'Great Work' in lodges as far apart as Edinburgh, Paris and Chicago. But by the end of the decade the Order had disintegrated amidst violent and public quarrel. Mathers and his wife Moina (sister of the philosopher Henri Bergson) had moved to Paris, pursued by the notorious Aleister Crowley, who demanded that Mathers initiate him into the grades he believed himself entitled to. Crowley had joined a few years earlier and claimed he was being denied his certificates of initiation by Yeats, who apparently loathed and despised him. The legal wrangle resulted in the society's secrets being dragged into the newspapers and precipitated the break up of the Order in 1900. 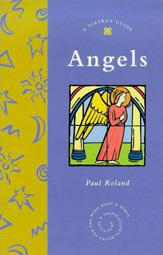 This is an ‘angel’ book with a difference. And it’s a crucial difference. 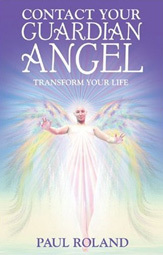 You do not need to believe in angels in order to benefit from the insights and exercises in this book. To be more precise, you do not need to believe that angels are celestial messengers in idealised human form equipped with wings and a halo. Although there is overwhelming anecdotal evidence to indicate the existence of benign discarnate beings, there is no irrefutable proof that angels exist in the form with which we in the west are familiar. And frankly, it is not necessary to provide any. All spiritual experience is subjective. For that reason no one, not even the self-proclaimed New Age angel gurus, are qualified to make a definitive statement regarding the nature of angels and I shall certainly not be making one myself. Part of the problem, I suspect, is that in this day and age the idea of each of us having a guardian angel seems just too good to be true. We demand irrefutable proof before we put our faith in anything and we demand it in a form that we can recognise. We therefore tend to dismiss the angels’ subtle but significant influence in our lives as mere coincidence or good luck. We behave like the devoutly religious man in the joke who is clinging on to the cliff edge by his fingertips and praying to God to send an angel to rescue him. Within a few minutes a helicopter happens past and offers to help but the man refuses, assuring the pilot that God is going to send an angel. The helicopter turns back and a few minutes later a speedboat comes by. ‘Jump into the water,’ shouts the pilot, ‘I’ll pull you in’. Again, the old man politely refuses assuring the pilot that he is expecting an angel to pull him to safety. Finally, an eager boy scout appears at the cliff edge and peering down offers to go and get a rope. Again, the old man refuses. Ten minutes later he loses his grip, plunges fifty metres into the sea and drowns. His spirit ascends to heaven and there he comes face to face with his Creator. I have had many extraordinary experiences which have convinced me of the existence of angels, some of which I have described in the following pages. To these I have added the remarkable insights of several psychics, mediums and healers with whom I have had the pleasure of working over the years. But the real proof will come when you explore the other realities for yourself. In the second part of this book I offer various methods you can use to connect with your guardian angel and I conclude with several advanced techniques for exploring the upper worlds of the angelics so that you can evaluate the experiences for yourself. It is not important what names you apply to the various energies you will experience, nor is it necessary for you to see an angel in the course of your visualisations, although it is highly likely that you will. What is important is that you develop an increasing sense of their presence and that you benefit in subtle but significant ways from their unseen influence. Neither will it be necessary for you to study a hierarchy of spiritual beings and commit their names, divine attributes and duties to memory. A lot of New Age nonsense has been written about the nature of angels, their supposed powers, their place in the heavenly hierarchy and how you can ask them to provide you with a parking space whenever you require one. My understanding of the nature of angels is that they are a sublime expression of the Divine and those who experience a visitation are blessed and profoundly affected for the rest of their lives. To view these benign beings as our celestial servants is the height of human arrogance and besides, it demeans us in the process because it affirms the false belief that we are powerless puppets at the whim of Fate and it delegates responsibility for our development to an outside agency. We alone are responsible for our spiritual development for we are, in a sense, angels in the making. As a qualified counsellor and spiritual teacher I am opposed to anything which does not empower the individual to help themselves, to become more self-aware and take control of their own lives. It is right that we should acknowledge the assistance of angels and spirit guides, but if we make the mistake of worshipping them, then we deny our true, divine nature which distinguishes us from the angels for we can exercise free will which they, apparently, can not. As you work through the practical exercises please do not be tempted to skip the basic techniques. Meditation is the foundation of all spiritual and psychic work. It will help to ground you, to establish a strong connection with the Higher Self and to enable you to expand your awareness beyond the confines of the body and return safely with insights that will enrich your everyday life. Before you can explore other dimensions and other realities, you need to be able to quieten your mind so that you can distinguish between what is imagination and what is a genuine communication. Angels apparently have the ability to appear spontaneously at a dramatic moment in our lives leaving a profound sense of the divine, but if we want to be able to contact them whenever we need guidance or help, we have to climb Jacob’s Ladder one rung at a time.